Those ridiculous infinity pools overlooking jungle you see on social media.. yep Bali is famous for them, and even from the U.S. getting there can be as low as $300 round trip. Best of all? It’s guaranteed to be hot all year round. Though it rains more between November-March, the storms are just short bursts, quickly bringing out that bright sunshine and tropical heat, right on queue. Beaches, spas, parties and monkey forests.. it has it all. Just when you thought you were out- they pull you right back in. 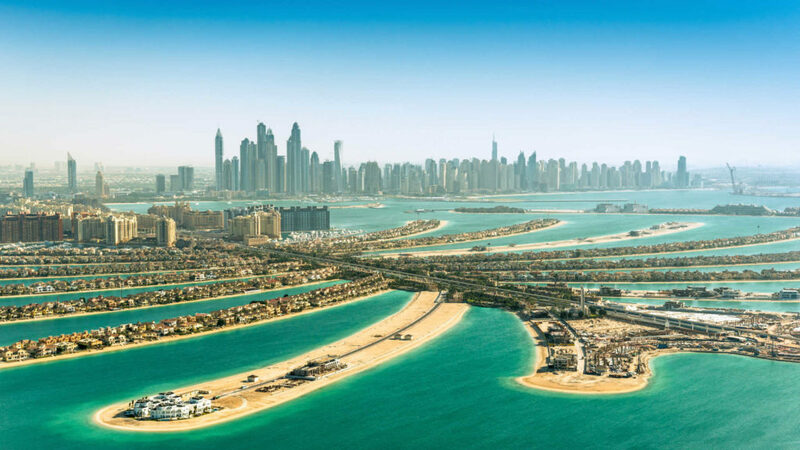 Many people religiously return to Dubai, and why wouldn’t you? With the abundant sun- shining all year round, five star service and impeccable beaches it’s an easy choice. November and December are perfect for being out during the day exploring the city or working on your tan by the pool, and are far less humid than other months- which helps when you’re in the desert. Oh the dream of sitting in the glorious sunshine mid January, sipping local South African wine. The fun hardly stops there- why not venture up Table Mountain, catch some world class surf, hike amazing peaks, sample the delectable food scene or just hang by the pool? For those in western Europe, Cape Town is only a one hour time difference if any, with overnight flight, you really could do it for a fun long weekend. Where do you even start? Cheap living, divine food, some of the best sunrises on earth? Vietnam has cool, dry winters (average temps 17-23 Celsius) between November and April, making it an extremely pleasant time to explore the beautiful, charming country. Known for its cultural cities, unique way of life and diverse topography- it’s an idyllic winter sun destination. Hot and sunny all year round. Singapore is a very cool city, with the famous Sentosa and Bintan island beaches not too far away. Before heading out- be sure to visit Gardens by the Bay, taking in the truly spectacular Supertrees before venturing over to the Marina Bay Sands for the largest (and best) rooftop infinity pool with spectacular views of the city below. The Singapore Slings hit the spot even more knowing how cold and miserable it is back home! If you’re looking for blue skies and pictures of sunny beaches with palm trees- stop looking and head to California. The subject of countless songs and more films- California is the easiest spot for U.S. based travelers to enjoy winter sun on the cheap. Especially Southern California, where warmer temperatures are a near lock. If you want to cover it all start in San Francisco and make the spectacular drive down Pacific Coast Highway for some memorable views, ending in LA for some cool hikes, great nightlife and the beaches of Santa Monica, Malibu and Venice. The temperatures may not be extreme, but the weather is about as fair and beautiful as anyone can dream of. Sun, all year round. The Canary Islands, easily accessible from Europe, offer the perfect t-shirt weather you’ve been dying for. If you want to go less touristy, some of the smaller islands such as La Palma, La Gomera and El Hierro are more authentic, untouched and more realistically priced. Just south of India, Sri Lanka is perfect- under the radar winter sun destination full of lush rainforest and gorgeous sandy beaches. The best weather is usually between late November and April, making it the perfect escape, without the usual winter sun price tag. It never hurts to make your friends back home ooze jealousy whilst flicking through your Instagram account. Yes, the Southern Hemisphere is an obvious one, since it’s the middle of summer during our Northern Hemisphere winter months, but that’s what makes it perfect. If you have the luxury of being able to jet off for a few weeks then hit as much of Australia and New Zealand as you can. Plenty of cool cities and ridiculously stunning scenery to keep you busy and make you never want to leave. Queenstown is a trending destination in 2017 after all! Whether you love the craziness of Bangkok, the popular beaches of Phuket or the rustic beauty of the Thai islands, you really can’t go wrong. Heading to Thailand pretty much guarantees gorgeous holiday weather between December and April- making it a perfect New Years getaway to get over those Christmas blues. Despite popular belief- it’s not just for proposals, honeymoons or anniversaries. If you’re looking for those dreamy pictures of endless blue water, pools set amongst ocean and beautiful sunsets – then this is the place. With plenty of spectacular hotels to choose from and immaculate sandy beaches, there really is no bad time of year to go. Featured image courtesy of The Viceroy Ubud- Bali, Indonesia. best affordable places to get a winter tancheap places to get a winter tan?what are the best destinations for winter sun? Next Article30 Hours Of Actual Flying In 35 Hours. Worst Routing Of All Time? Lol. Why would you spend time in singapore’s sentosa beach? Small beach with view of tankers and containers. Get a better beach at Bintan Island just across the strait. Not much resort, but they have bintan lagoon resort and club med. How far from singapore? Well, your phone can still show “Singtel Logo” at Bintan Island….